The Norstar SD Service bed is perfect for the tradesman. Our Service Bed offers multiple standard tool boxes and many options for your on the go needs. 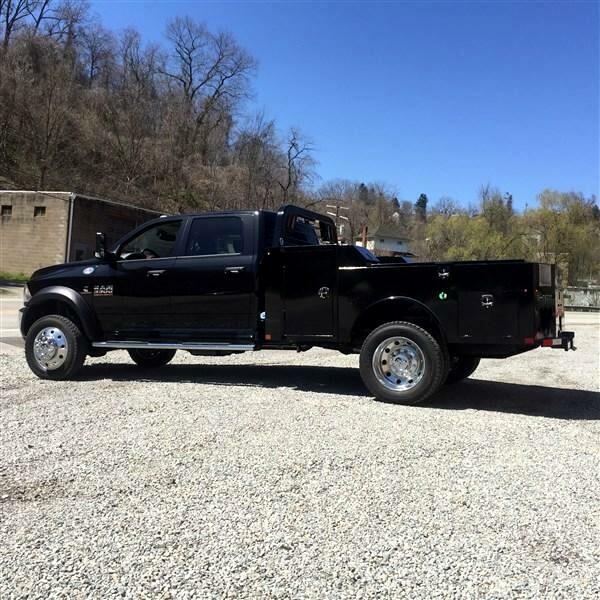 This bed comes with 2 verticle cabinets, 2 angled boxes, 2 top boxes, and 2 rear underbody boxes plus a bonus locking rear shovel compartment for tons of storage. Multiple option choices allow you to build this bed to your industry. 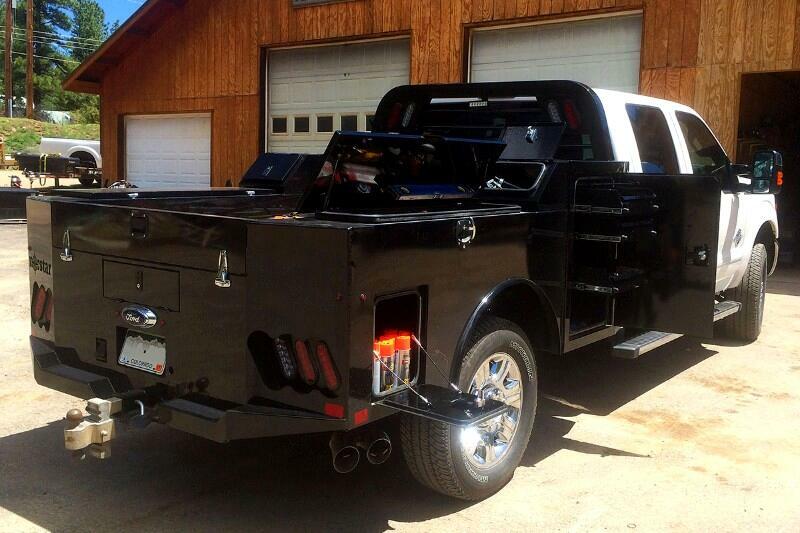 All doors are gas shock equipped and locking T-latches are standard. Our receiver allows you to add a hitch for bumper pull cargo and a gooseneck ball is standard in case you are hauling a heavyweight. Available cabinet drawers can add the finishing touch if you have a lot of parts or tools for your work load. Multiple lighting choices and cast housings are also available. 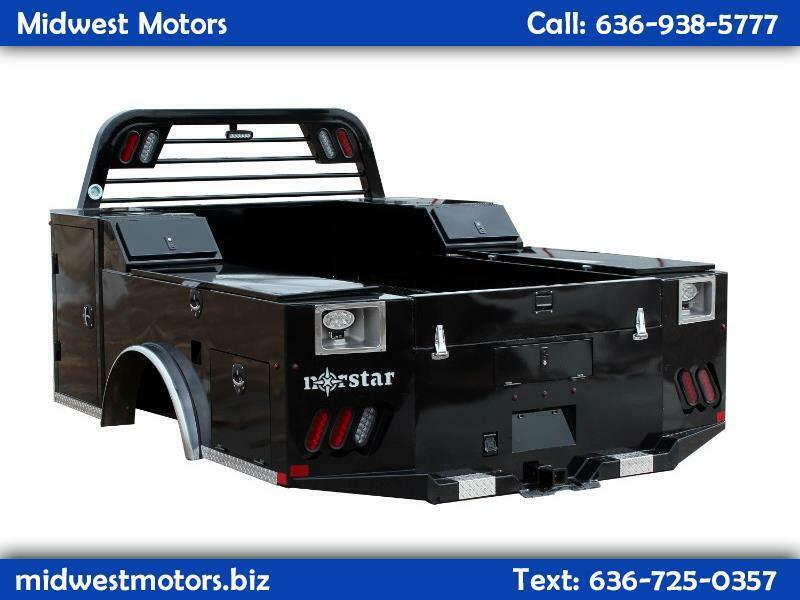 These beds are a perfect complement for any single or dual wheel work truck with smooth 11 guage sides and gloss black powder coating. Rear Lockable Compartment 16" x 39" - 48"